Save the date for the 23rd Annual Taste of New Paltz, a Hudson Valley Festival of Food and Fun! 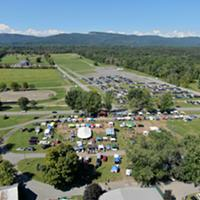 Place: Ulster County Fairgrounds, New Paltz. It’s time to get your Taste on at the 23rd Annual Taste of New Paltz! 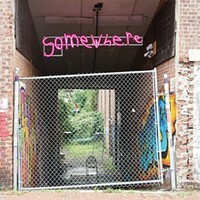 Directions to the Taste from the South: Exit 17 off the New York State Thruway. After the tollbooth, follow signs to Rte. 300 North. At Rte. 32 go north (straight). At Rte. 44/55 go west (turn left) and continue through the town of Gardiner. Turn right at flashing light on to CR-9 (Libertyville Road.) The fairgrounds are on your right, parking on your left. Directions to the Taste from the North: Exit 18 off the New York State Thruway. After the tollbooth, turn left at light onto 299 West. Go through the village of New Paltz, cross over the Wallkill River bridge, and make the next left onto Libertyville Road. The fairgrounds are about a mile down on your left. Please call the New Paltz Chamber of Commerce or visit www.newpaltzchamber.org if you need further information at (845) 255-0243.